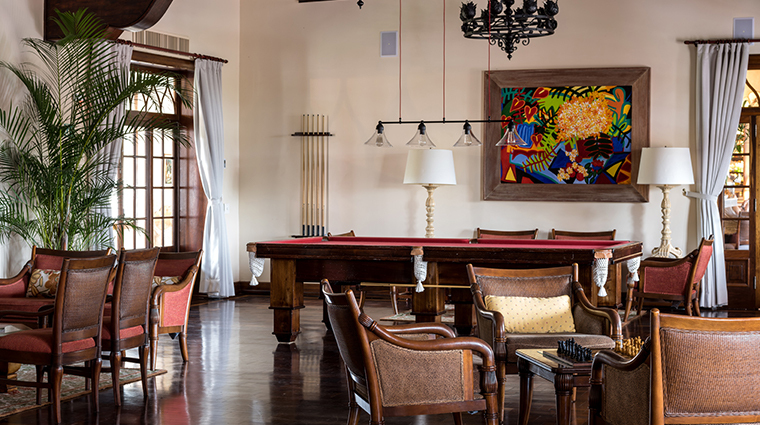 Escape winter’s chill when you check into South America’s only Forbes Travel Guide Five-Star stay. 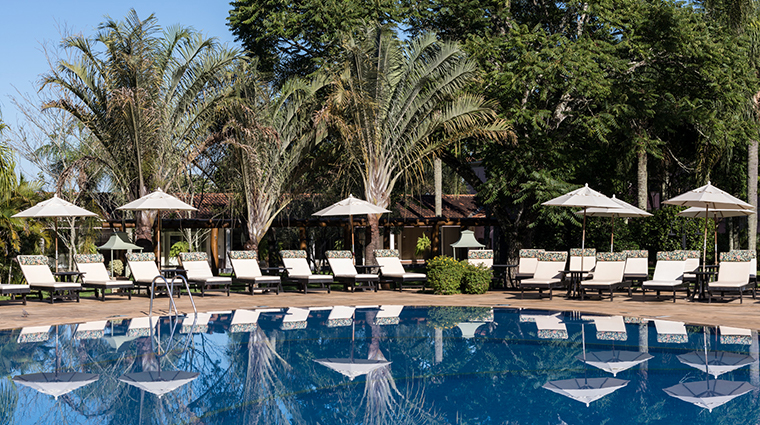 Tucked into the gorgeous Brazilian jungle next to the majestic Iguassu Falls, Belmond Hotel das Cataratas helps you start the new year in style with a soothing Spa Retreat package. Book this serene special to bask in a 50-minute custom Cataratas Swedish massage, 50 percent off an additional treatment and complimentary daily breakfast. 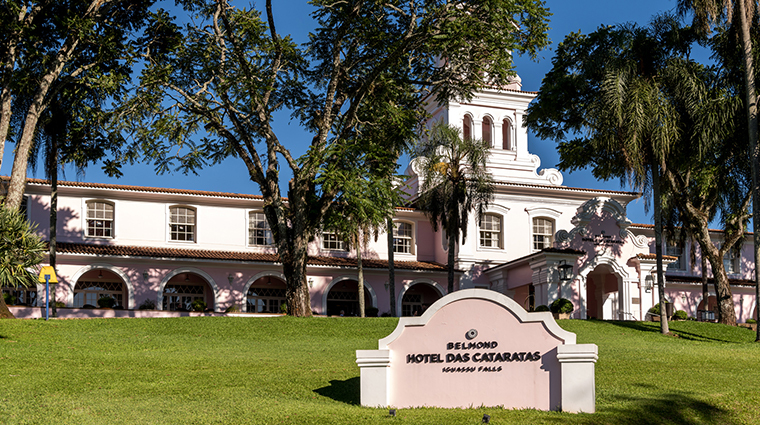 The dashing good looks of Belmond Hotel das Cataratas, an ice-cream pink colonial estate, are trumped only by the breathtaking natural wonder of its setting. 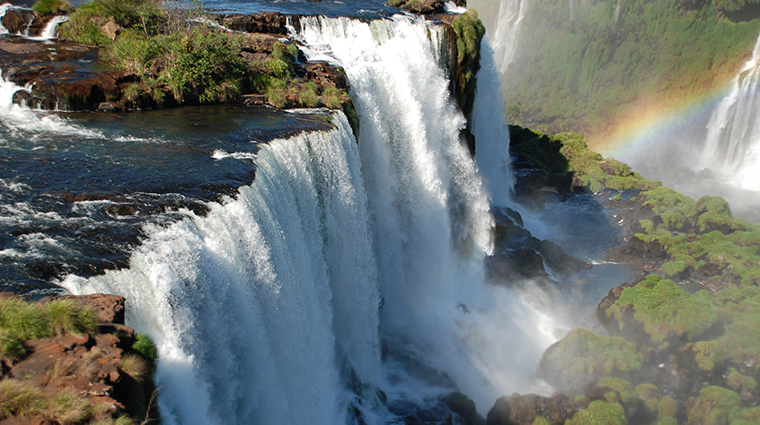 It is the only hotel inside Brazil's Iguacu National Park and from its restaurant terrace you can savor a refreshing caipirinha while watching the sun set behind the cascading froth of Iguassu Falls. Inside, the marble and dark-wood interior is endlessly elegant; out the back you’ll find pristinely manicured gardens brimming with exotic trees and a brilliant-blue, deep-water swimming pool staffed by pool attendants who seem to know just when you're ready for another fresh coconut water. The spa showcases Brazilian products — Bel Col for facials and By Samia for body treatments such as the Essence of the Amazon and the Rainforest Scrub. 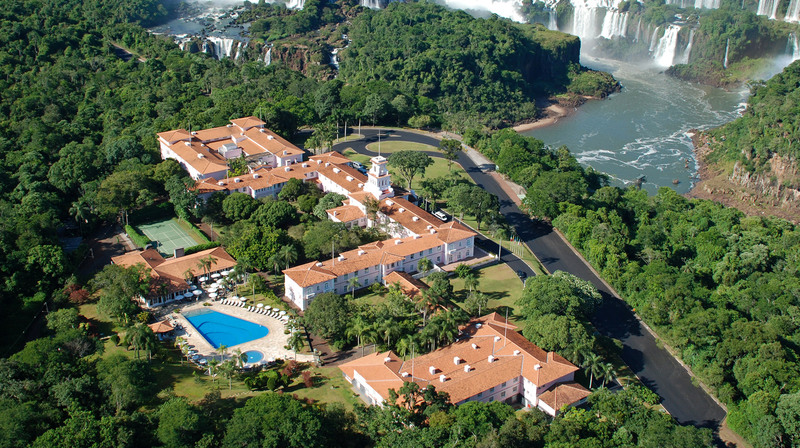 The Iguassu Falls hotel is all about the majestic falls and surrounding national park. 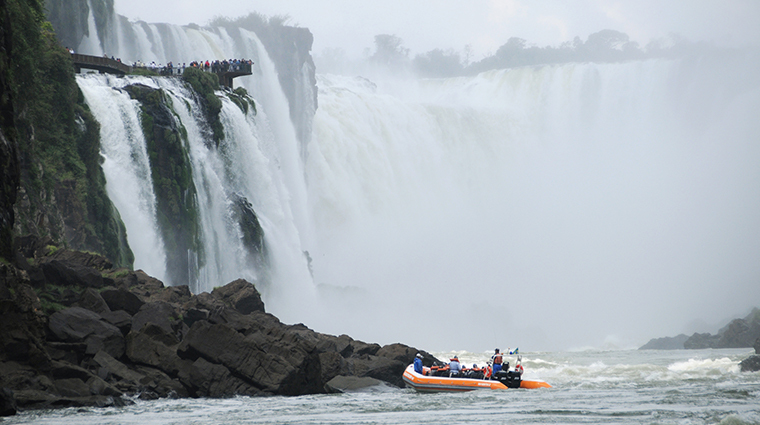 At dawn and at dusk, guests of Belmond Hotel das Cataratas have the falls all to themselves. 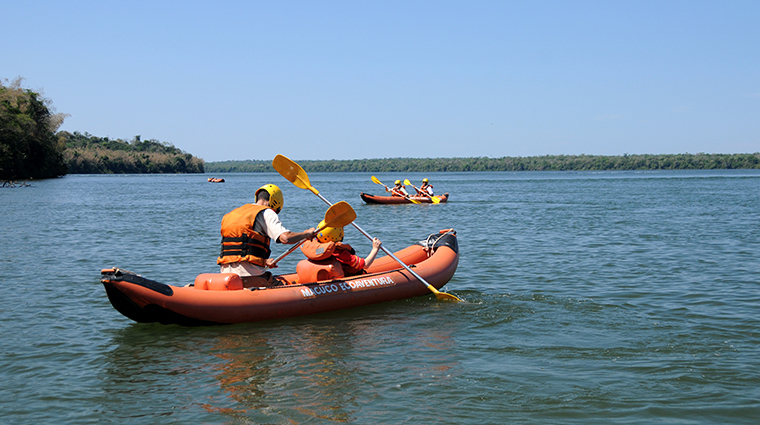 An excellent in-house travel office can organize safari walks into the rainforest, bird watching, rafting and helicopter rides over the falls. 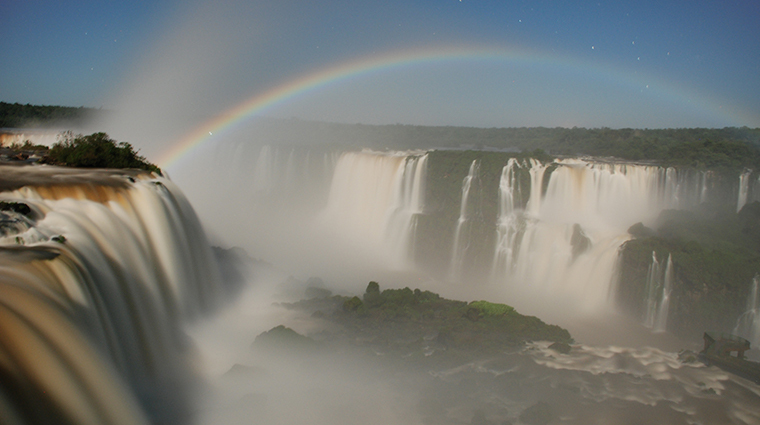 Time your trip well and, once a month, the Belmond also offers the exclusive chance to witness the rare phenomenon of a lunar rainbow, where the full moon begets a multi-colored arc over the falls. More traditional resort activities include tennis, swimming pools and a gym with large picture windows. 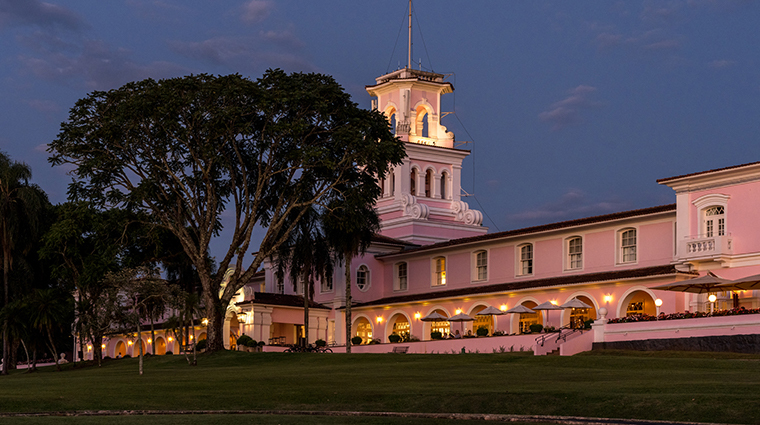 Tourists not staying on the property must leave the park every day, meaning hotel guests can unparalleled access to all of the sites. You can walk out to the infamous Devil's Throat lookout platform, surrounded by the spray of the falls, with just the local wildlife for company, plus be back in time for an alfresco cappuccino before the first tourists of the day have even entered the park. 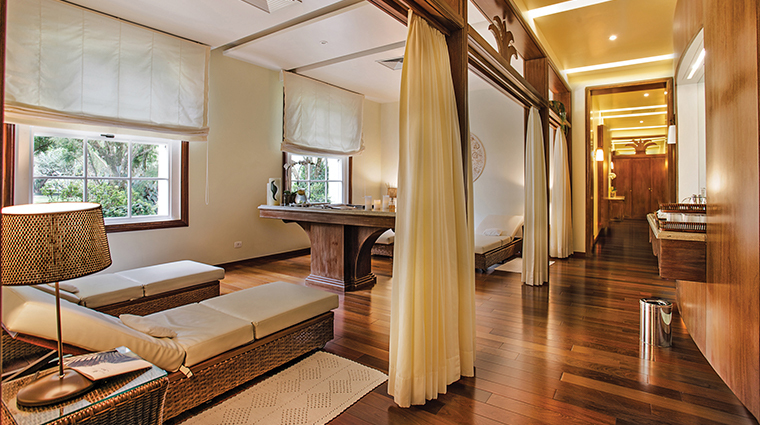 The spa is an ideal retreat after a sweaty day traipsing through the national park. 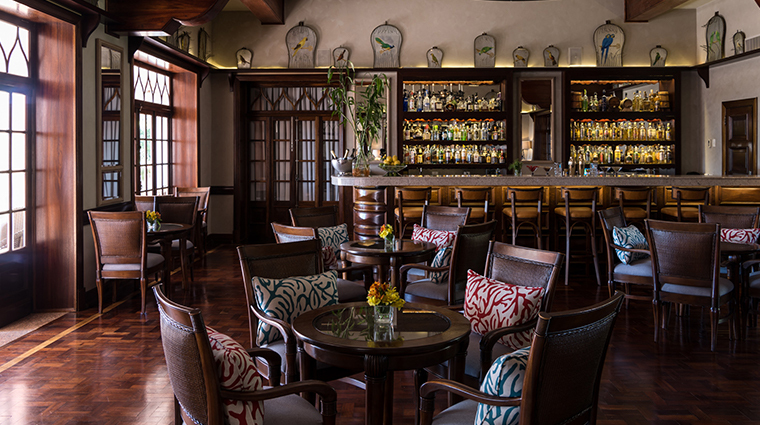 Inside, the wood-and-marble décor creates a serene ambience illuminated by natural light from the garden windows. 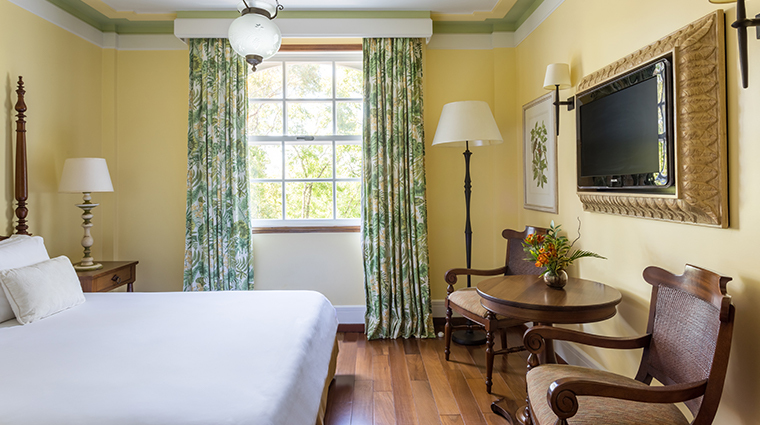 The 187 rooms ooze traditional Portuguese style and range from Superior Rooms to Cataratas Suites. 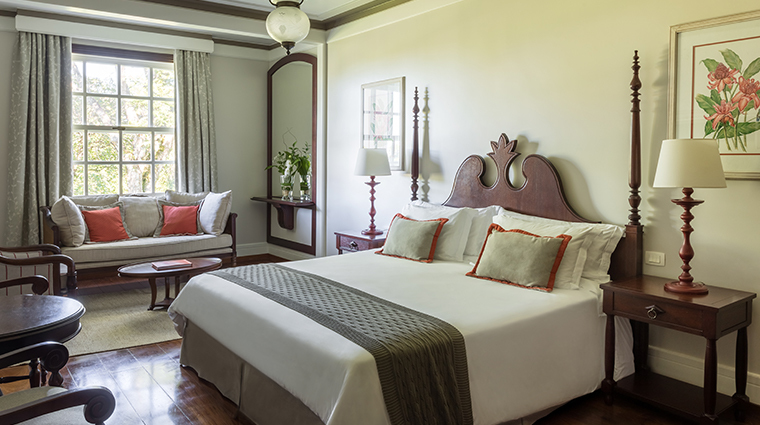 All feature queen beds, dark rosewood floors and carved furniture, pastel trim, floral curtains and walls punctuated with botanical prints. Moorish glazed ceramic tiles lend the bathrooms a light, attractive air. 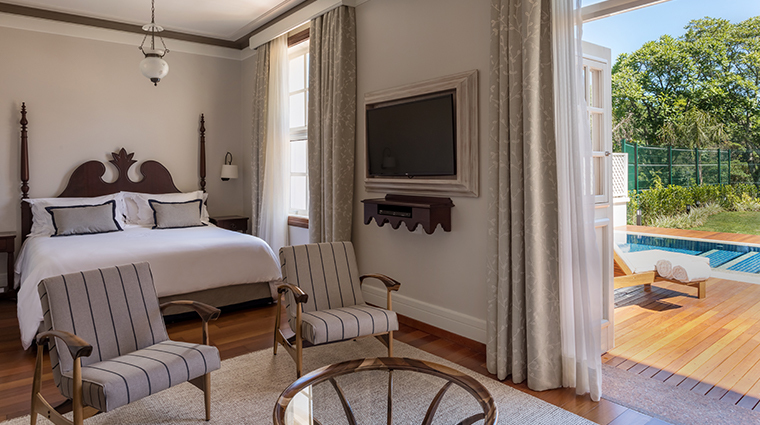 The 1,011-square-foot suites are luxuriously spacious with two bedrooms and bathrooms, a separate living room and views of the verdant surroundings from four different balconies. The bar serves great beer and burgers with fries, and the refined Itaipu Restaurant features Brazilian-style haute cuisine. 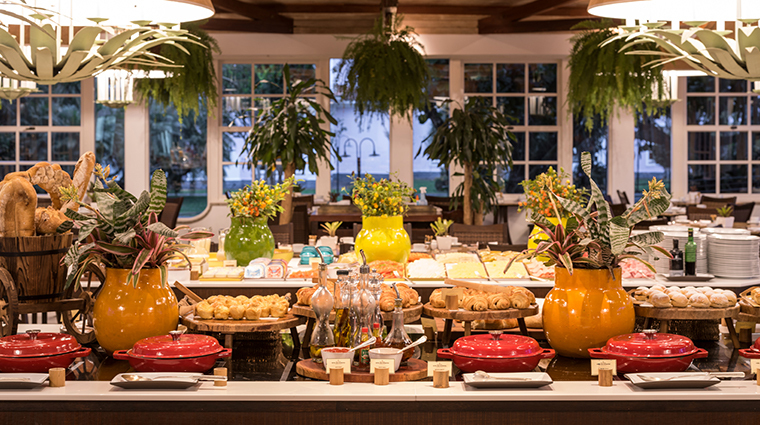 For a wide variety, the light and breezy poolside buffet restaurant is hard to beat. In the morning, its tables are filled with a cornucopia of jungle fruits, cereals, breads and eggs. At dinner, feast on dozens of international favorites and choice cuts of meats from its churrascaria gaucho grill. Fittingly, given the huge strides in South American wine making in recent years, bottles from Argentina, Chile and Brazil headline the wine list.